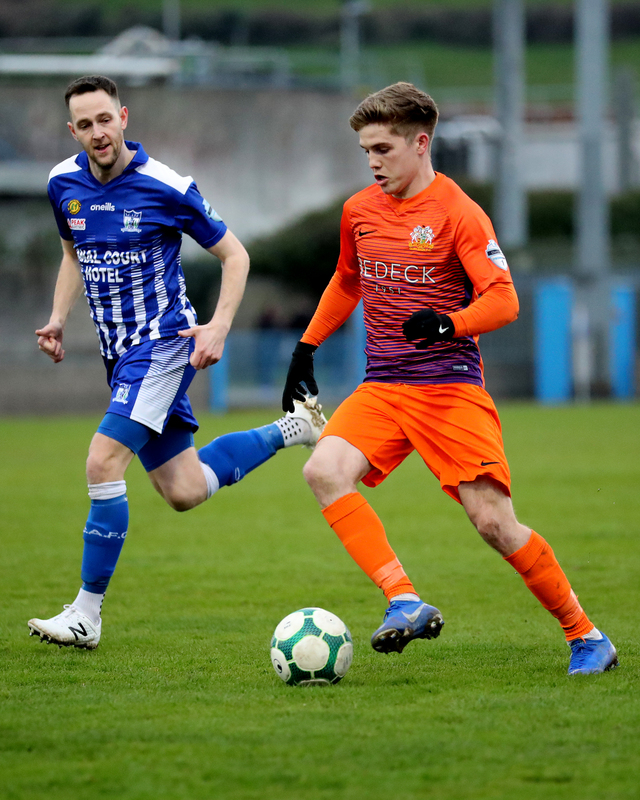 Andrew Mitchell’s 100th career league goal, coming in the 78th minute in Saturday evening’s game against Newry City, proved enough for Glenavon to take all three points as they made it three wins on the trot ahead of the post-split fixtures. 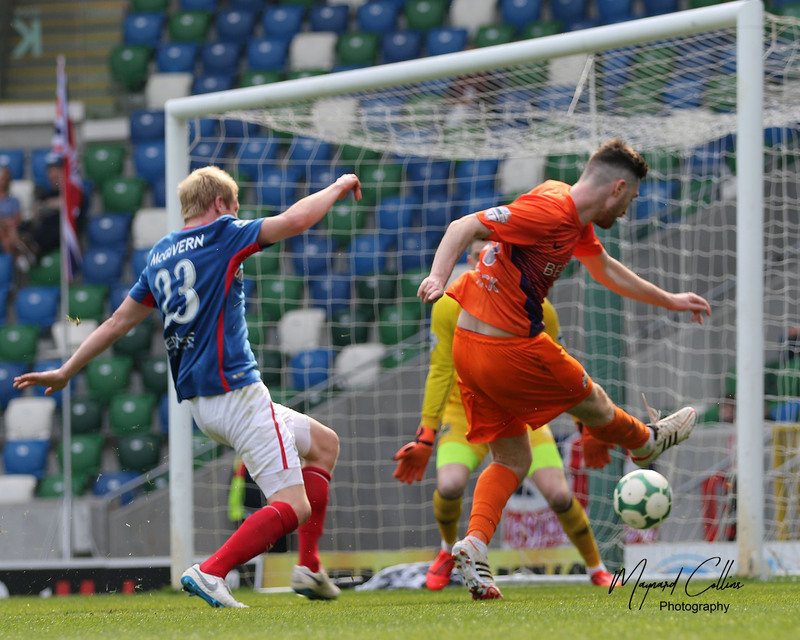 With Glenavon the dominant side for most of the game, Mitchell had earlier gone close when he forced Andy Coleman to tip his cross-shot over the bar. 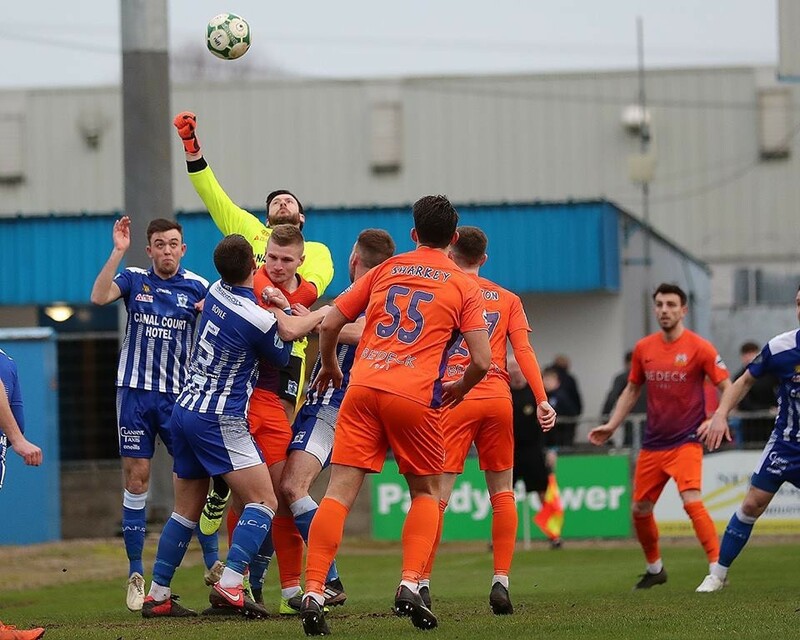 The former Glenavon stopper had also denied Conor McCloskey when he was through one-on-one and Andy Hall had earlier seen a shot flash narrowly wide. 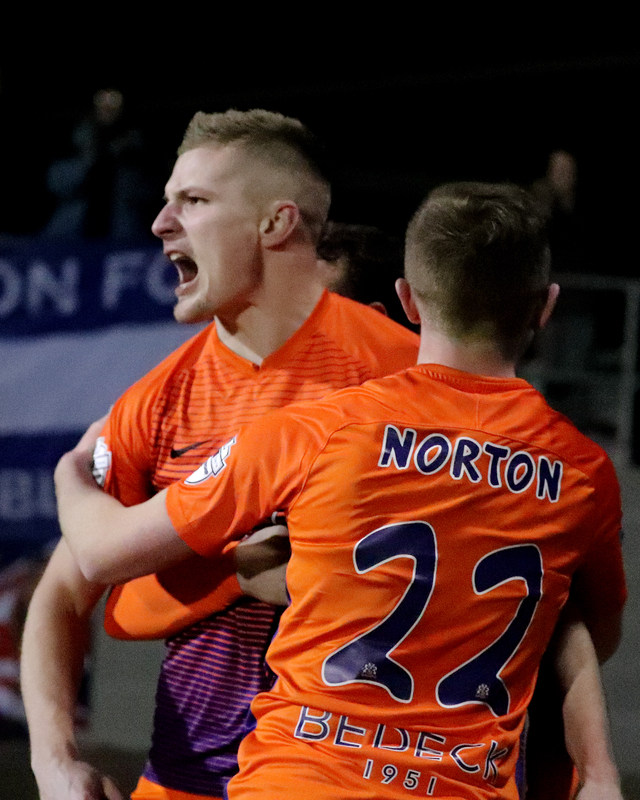 Eoin Wearen thought he had opened the scoring when his diving header from Mitchell’s free kick hit the back of the net in the 37th minute but the Assistant’s flag denied him his first goal since joining Glenavon in January. The hosts lifted their game at the start of the second half and Tiarnan Rushe headed just over from Declan Carville’s cross. Stephen Teggart then had a shooting chance but his effort was dragged wide of the target. 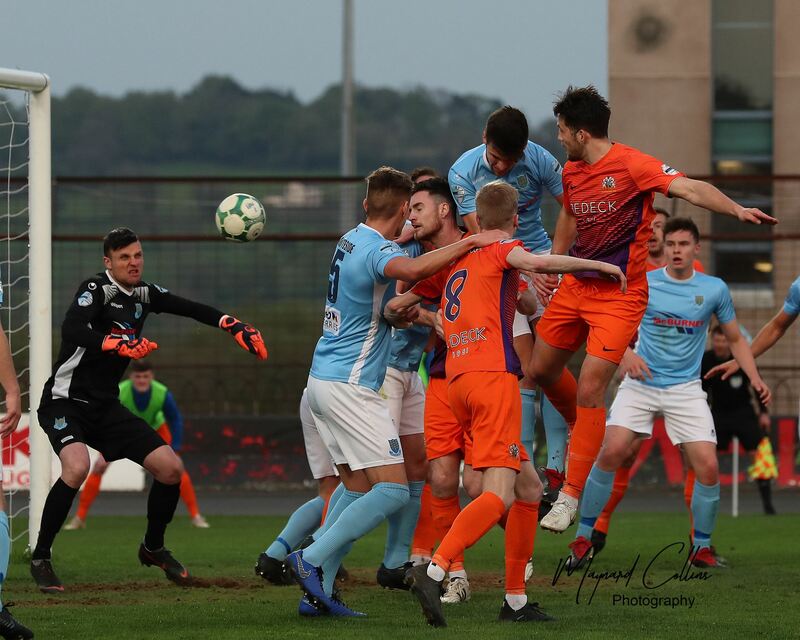 Glenavon’s dominance finally told with 12 minutes remaining when Josh Daniels headed on Jonny Tuffey’s free kick into the path of Stephen Murray. 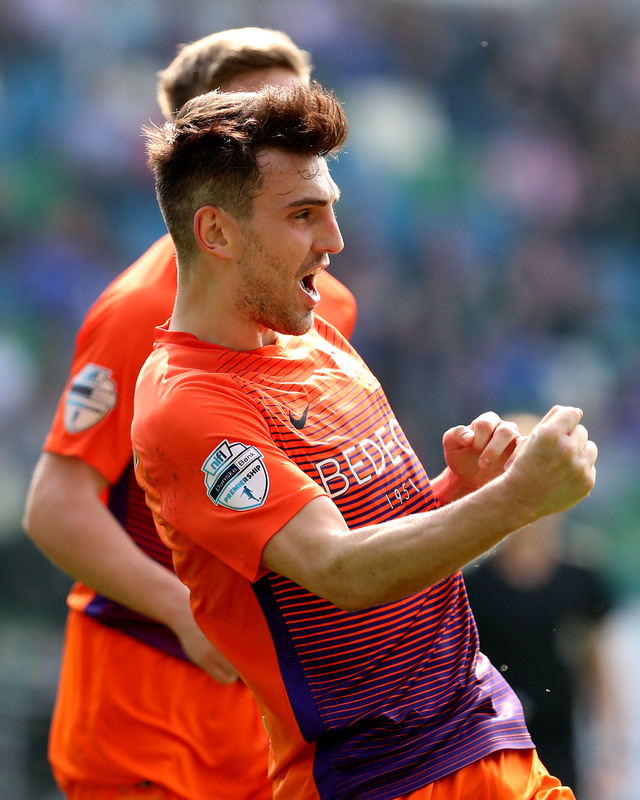 His inch-perfect cross left Mitchell with a simple header beyond the reach of Coleman. It still took a vital stoppage time save by Tuffey to deny Carville when he was played through one-on-one by a perfectly weighted pass from Stephen Hughes. 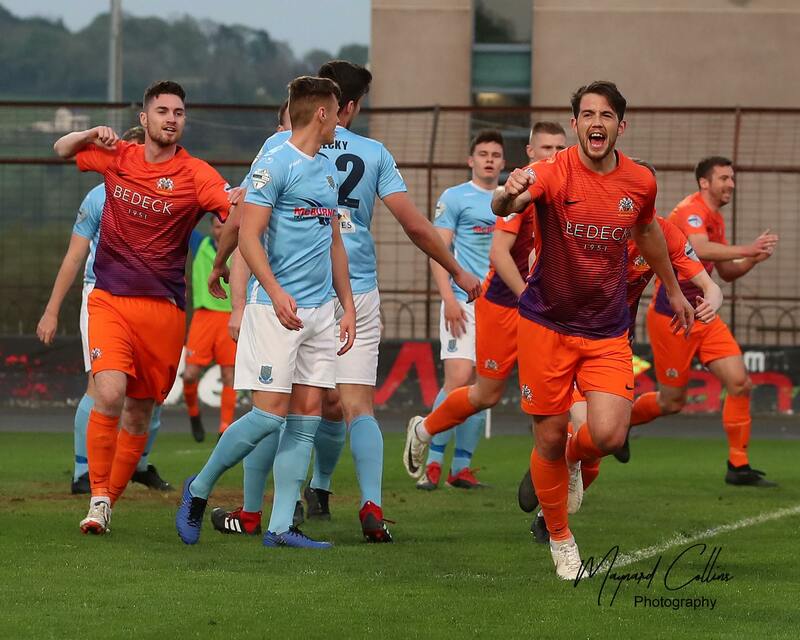 The Irish League takes a break next Saturday as it’s Irish Cup semi-finals day, with the Warrenpoint-Ballinamallard game taking place at Mourneview Park. 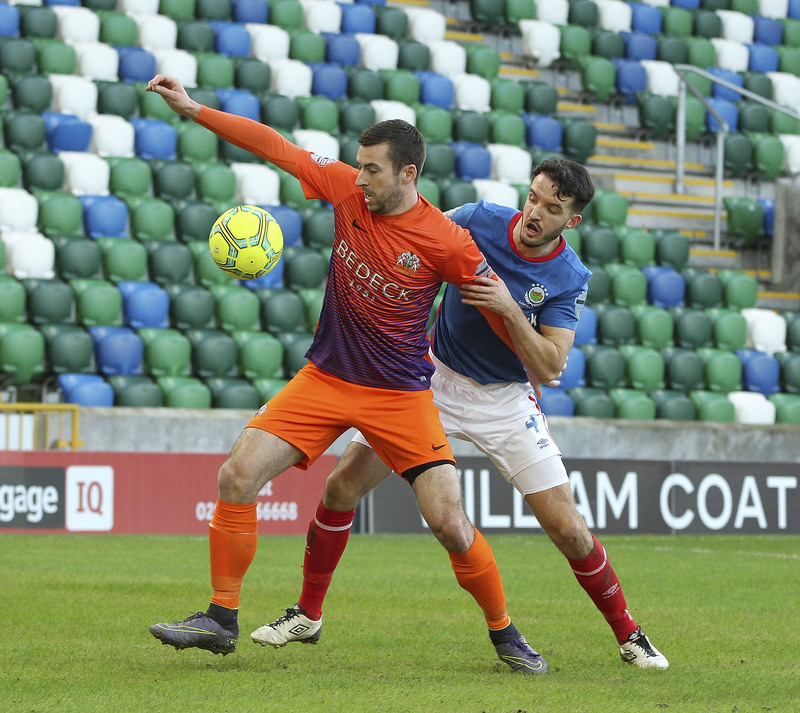 Glenavon is next in action on Tuesday April 2nd in the Mid-Ulster Cup Final at Mourneview Park against Warrenpoint Town (ko 7:45pm) before the post-split league action commences with a home game against Crusaders on Saturday April 6th.